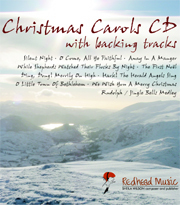 Redhead Music Online - Christingle Rock! 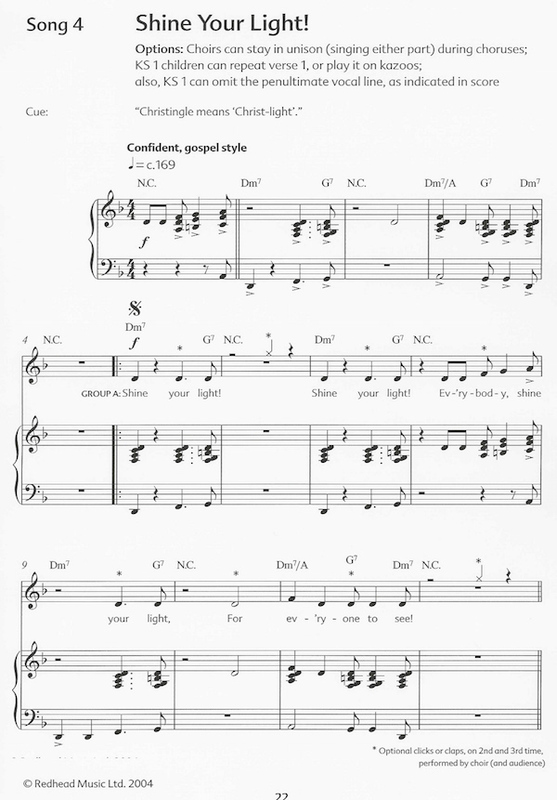 Music: All / Christmas (5-12s) / Christingle Rock! Thank You For The World! 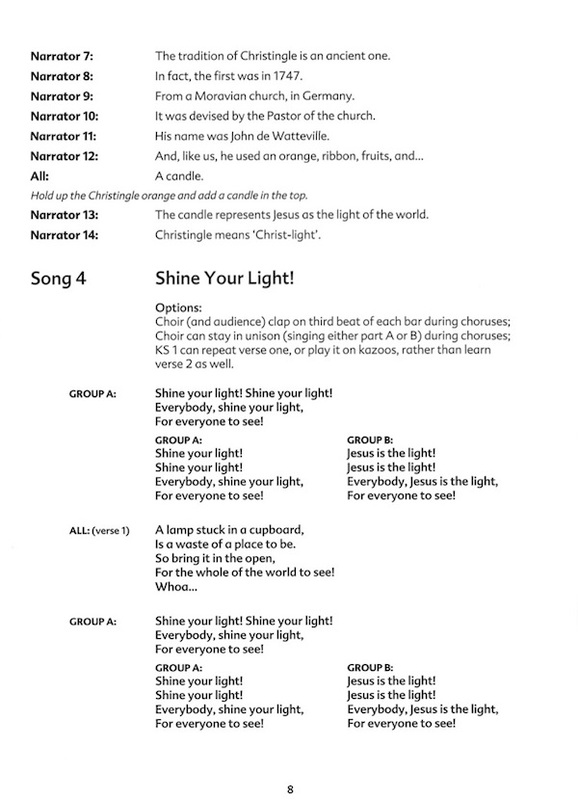 Our Christingle musical is immensely popular in schools and churches across the land. Try it, and discover why! 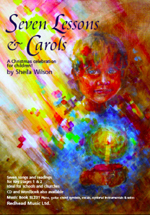 Five lovely songs, sung with heartfelt enthusiasm, unfold the history and meaning of Christingle. 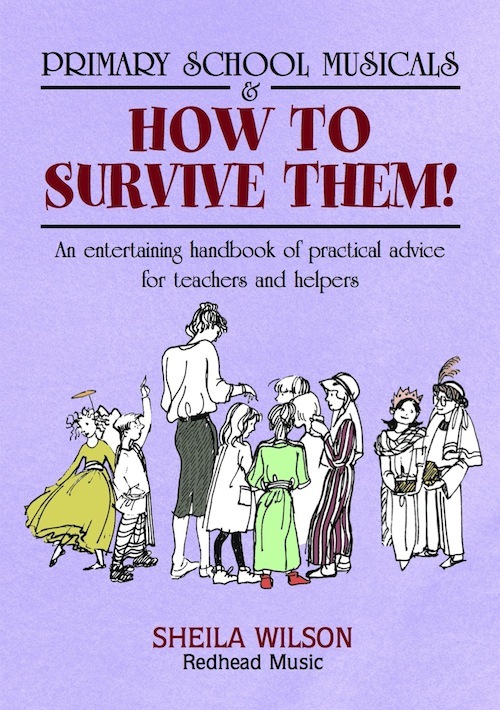 The simple narration is shared between 26 narrators for maximum involvement with little preparation, although this number can be adjusted of course. 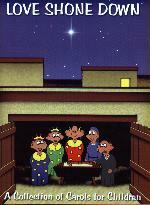 An optional nativity section is provided in the middle, which can be read or enacted; and there's an optional collection and prayer, with reference to the Children's Society, who founded and run the Christingle appeal, and to whose work with disadvantaged children the collection could be sent. Christingle Rock! 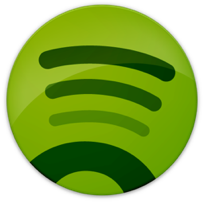 is moving, enjoyable, and wonderfully adaptable. 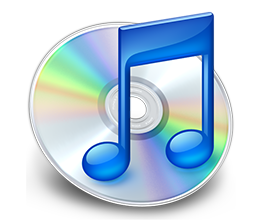 Your children will love the songs, from the toe-tapping introduction 'Welcome to the world! ', to the thoughtful 'Circle of Love', the gutsy, two-part, 'Shine your light!' and the hand-jiving final song 'Christingle Rock and Roll!' A very special Christmas service. 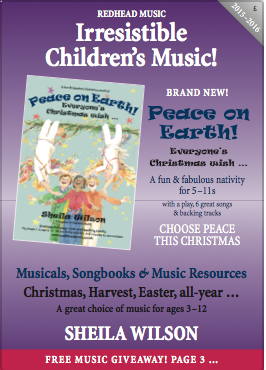 If you like Christingle Rock!, you might also like these!